Muna Osman Jama, 36, of Reston, Virginia, and Hinda Osman Dhirane, 46, of Kent, Washington, were sentenced today to 12 years and 11 years respectively. Jama and Dhirane were found guilty of conspiracy to provide material support to al-Shabaab, a foreign terrorist organization, and providing material support to a foreign terrorist organization after a bench trial in front of U.S. District Judge Anthony J. Trenga on Oct. 25, 2016. Acting Assistant Attorney General Mary B. McCord for National Security, U.S. Attorney Dana J. Boente for the Eastern District of Virginia, Assistant Director in Charge Andrew W. Vale of the FBI’s Washington Field Office and Special Agent in Charge Jay S. Tabb, Jr. of the FBI’s Seattle Field Office, made the announcement after sentencing by U.S. District Judge Anthony J. Trenga. According to court documents, Jama and Dhirane sent money to financiers of al-Shabaab in Somalia and Kenya, which they referred to respectively as the “Hargeisa side” and the “Nairobi side.” The defendants also organized what was called a “Group of Fifteen,” which included women from Somalia, Kenya, Egypt, the Netherlands, Sweden, the United Kingdom, and Canada, as well as Minneapolis, Minnesota. The “Group of Fifteen” met regularly in a private chatroom that Jama established to organize and track monthly payment of money to the “Hargeisa side,” which was used to finance al-Shabaab military operations in the Golis Mountains in northern Somalia, and the “Nairobi side,” which was used to fund two al-Shabaab safehouses. One of the safehouses was used by al-Shabaab to store weapons and to prepare for attacks. The other was used to treat al-Shabaab fighters who had been wounded in battle. A substantial part of the government’s case consisted of recorded telephone calls and other communications among the “Group of Fifteen.” These recordings demonstrated that the women had close connections with al-Shabaab leadership and were privy to non-public, inside information concerning al-Shabaab activities. Jama and Dhirane were recorded as they laughed as the carnage at the Westgate Mall in Nairobi was still taking place. Dhirane and co-conspirator were also recorded as they laughed at the Boston Marathon Bombing before it became known who committed the attack. This case was investigated by the FBI’s Washington, D.C. Field Office, with the assistance of the FBI’s Minneapolis and Seattle Field Offices. The U.S. Attorney’s Office in Minneapolis also provided valuable assistance to the prosecution. 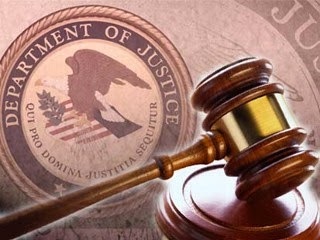 The Justice Department’s Office of International Affairs played an essential role in coordinating arrests and searches with foreign authorities. Assistant U.S. Attorneys James P. Gillis and Danya E. Atiyeh prosecuted the case with assistance from C. Alexandria Bogle, Trial Attorney, Counterterrorism Section.